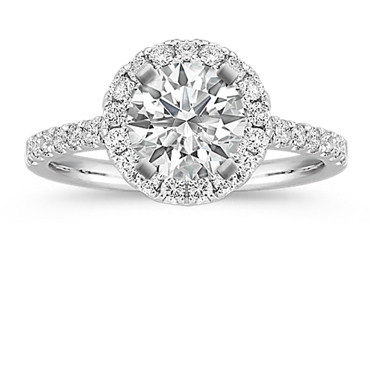 A Guide to the Latest Engagement Ring Styles and Trends at Shane Co. 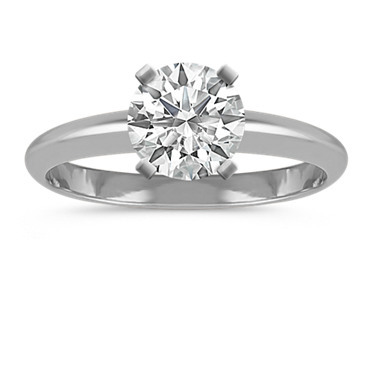 Taking its name from the French for "alone", a solitaire ring carries one single diamond. 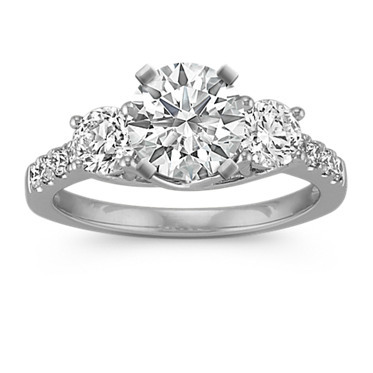 Possibly the most popular style of engagement ring, this design boasts elegance in its simplicity. The gemstone is usually set high, which allows the diamond maximum exposure to light, enhancing its brilliance. It is perhaps best suited to a woman who prefers classic style. This "ethereal" style ring has a central gemstone surrounded by a "halo" of smaller diamonds to emphasize its sparkle and make it appear larger. Best suited to the fashion-forward woman, this design seems set to become the "new classic". Also known as a trinity or trilogy ring, this design sports a trio of gemstones, symbolizing your past, present and future together. The center gemstone is usually set higher than the complementary side gemstones to highlight the (usually) larger gemstone and add depth to the ring. It's a wonderful choice for the woman who is sentimental and enjoys symbolism. Taking its name from the French word for ‘paved’, the gemstones on a pavé ring are set as close together as possible so that little or no metal is shown. The encrusted diamonds give the band the appearance of a solid diamond surface. If super-sparkle is what you’re after, this design could be the perfect choice. 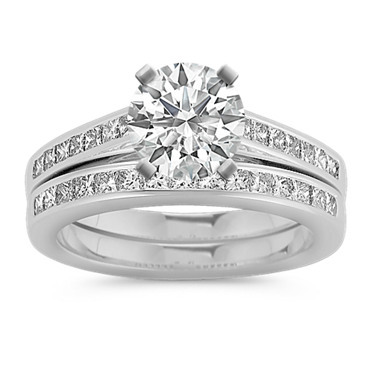 The center diamond in a cathedral setting is firmly nested between bands extending from each side. They angle up in such a way that draws the eye to the gemstone. 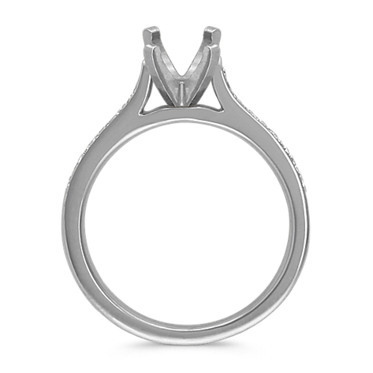 This type of engagement ring setting provides good protection for the diamond so is a good choice for a woman on the go. Timeless beauty is always in style. 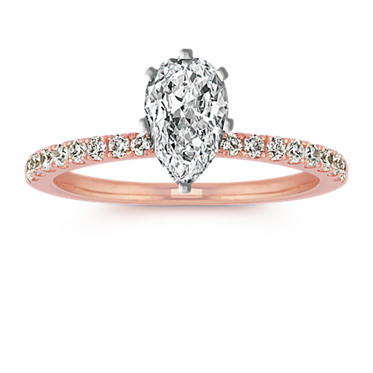 Shane Co.'s "reinvented vintage" engagement rings possess splendor from a bygone era but exhibit a contemporary twist. Using a combination of engravings, milgrain detailing and a certain "je ne sais quoi", their romance and intrigue know no bounds. 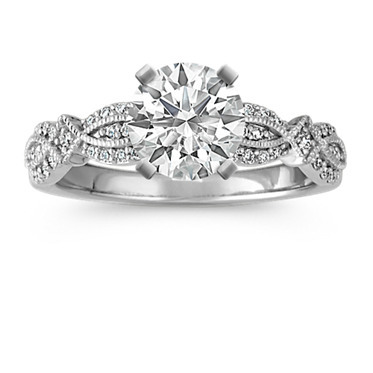 Small diamonds are embedded along the band to extend the brilliance of the center diamond. This style will inspire the modern woman thanks to its fresh, modern look. 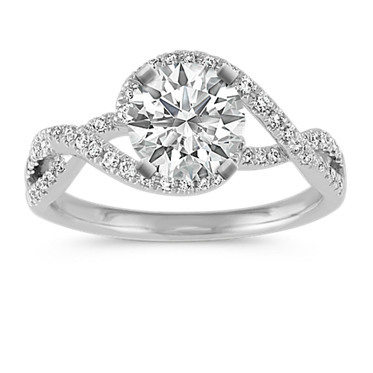 Feminine, romantic and pretty, this style of engagement ring features a "swirl" or metal around the diamond. Usually sold as part of a set, the wedding band offers a perfect fit to the unusual, dreamy shape. 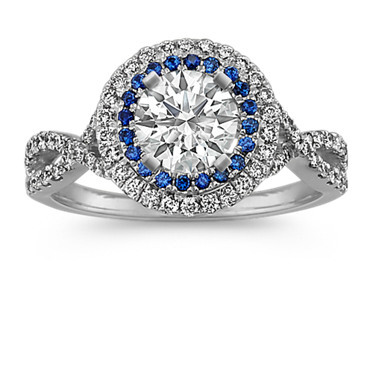 An artistic, creative woman may be drawn to this ring. Small colored gemstones are placed along the band to accentuate the center stone and add a pop of color. Take our quiz to find the ring that matches her personal style.